On the 31st January 1972, in the Bogside area of Derry, a horrifying attack took place that would go on to shape the legacy of the conflict. Bloody Sunday has been etched into the history books as 'the day that innocence died', when 14 unarmed civilians lost their lives as a result of the actions carried out by the British army. As a 23-year-old Derry native, it is very hard to imagine how the men and women of a similar age felt as the distressing events unfolded. The people of Derry who had gathered that day were well aware that the march had been banned, but no one could have anticipated the outcome. From my understanding of the circumstances, I believe the protesters were right to continue with their march, and that the responsibility for what happened lies solely with the British armed forces. Coming from a republican family, from a young age I attended the annual Bloody Sunday memorial march. I didn’t have a clear idea of what happened that day until my early teens, when I began watching archive footage from the media as well as the Paul Greengrass film Bloody Sunday. The production, starring James Nesbitt as Ivan Cooper, gave an insight to a younger generation about why an event that happened in the 1970s was, and still is, such a huge talking point. This film and countless photographs kept the events of Bloody Sunday very much alive for the people of my generation who weren’t born at the time. Since that devastating day, the photographs have been the only thing that have remained true - they have frozen the horror and sustained the memory of one of the most deadliest days of the conflict. It is important to note that all official British army photographs and helicopter footage from Bloody Sunday disappeared shortly after the atrocity. This revelation shows the lengths the British army went to at the time to cover up the slaughter. For me, it is difficult to imagine what it was like for the people of Derry during the conflict, growing up in a city where your life was in danger from the British state. I believe that notable figures, such as Martin McGuinness, took necessary steps in extraordinary times, for the people of my generation to live in the relative peace we have now. The majority of young people in Derry today are focused on school, exams or getting a trade - and working towards their future. It is sad to think that the innocent civilians who were murdered on Bloody Sunday, nine of whom were under the age of 25, had their futures taken from them in such a brutal way. The graphic scenes that were captured of the day’s events are enough to make your blood boil. The image of Father Edward Daly, holding a blood stained handkerchief while he escorted a group of people carrying wounded 17-year-old Jackie Duddy, is one that puts the entire day into perspective for me. These were unarmed civilians whose lives were cut short by the British army, who were supposedly sent to occupy the north of Ireland in order to protect the people. 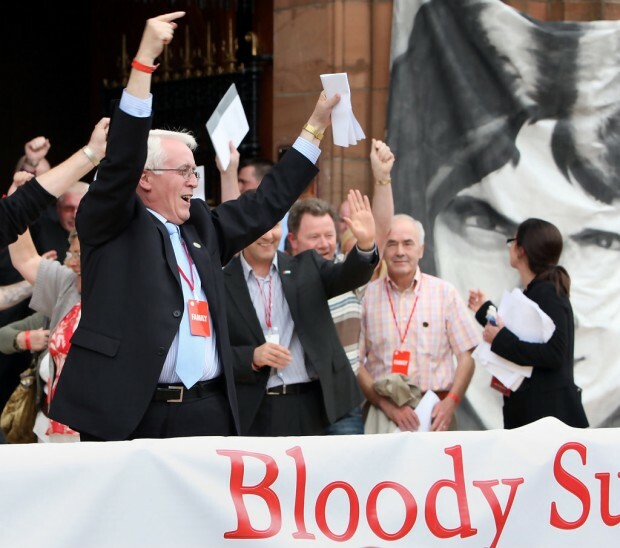 In June 2010, Lord Saville’s report into Bloody Sunday revealed the truth that the victims’ families long awaited. On the day of the report’s publication, I stood in the Guildhall Square among around 10,000 other people and my eyes were yet again opened to the sheer scale of this event. The civil rights song ‘We Shall Overcome’, was being sung by many who had gathered just before David Cameron appeared on the large TV screen, live from the British House of Commons. To hear the British Prime Minister apologise and say, “on behalf of our country, I am deeply sorry,” was groundbreaking for the people of Derry and the crowd's reaction showed this. The Saville Report came after years of campaigning by the Bloody Sunday Families, as they were not satisfied by the findings of the previous ‘whitewash’ inquiry led by Lord Widgery in 1972, and rightly so. In a democratic society, it is expected that public authorities should act with transparency and honesty. This did not happen. 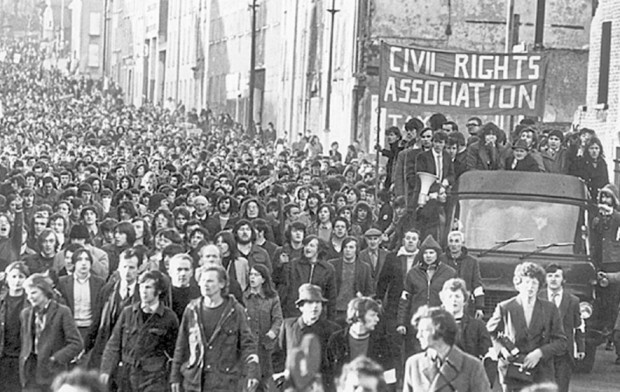 The contrast between the findings of the two Bloody Sunday reports is massive, and it shows how corrupt the actions of the British Government can be in order to save their own reputation. In 1972 the British army gave misleading and false information to a compliant media as well as in their interviews during the Widgery Tribunal, to show the victims in a bad light. At the end of March 2017, a new 10-minute rule bill was introduced by British Labour MP Andy Burnham to help combat this from happening again. The ‘Hillsborough Law’ would require police forces and public authorities to be open and truthful in legal proceedings, even about their own faults, and that families of the bereaved would get the same resources as the authorities to make their case heard. I’m sure this law would be massively welcomed by the Bloody Sunday families, albeit too little too late for them. The latest findings on Bloody Sunday have opened the floodgates for questions about the prosecution of the soldiers responsible. Should the soldiers be prosecuted for their crimes? Or should they be excused from the murder of innocent civilians. There has been much debate surrounding this topic in recent years, but it is very hard not to support the families of victims who want prosecutions. It is fair to say that the British army must be held accountable for their killings and treatment of Irish citizens during the conflict, including on Bloody Sunday. They acted with impunity during the conflict they should not be allowed immunity now. The idea that something so horrific happened in the city I call home is hard for me and people of the younger generation to process, but this was the reality that our parents and grandparents lived through. At times I do take the relative peace that we have today for granted and I don’t see that as a bad thing. People shouldn’t have had to live in fear of the British state, it’s important that we continue to build the peace to ensure it never happens again.